Nuclear Weapons 379 - The Seawolf-class Is The Most Advanced Nuclear Submarine In the U.S. Arsenal - Part 2 of 2 Parts. 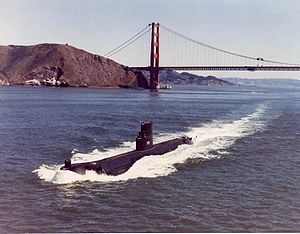 Read more about Nuclear Weapons 379 - The Seawolf-class Is The Most Advanced Nuclear Submarine In the U.S. Arsenal - Part 2 of 2 Parts. China has been a strong proponent of nuclear power. 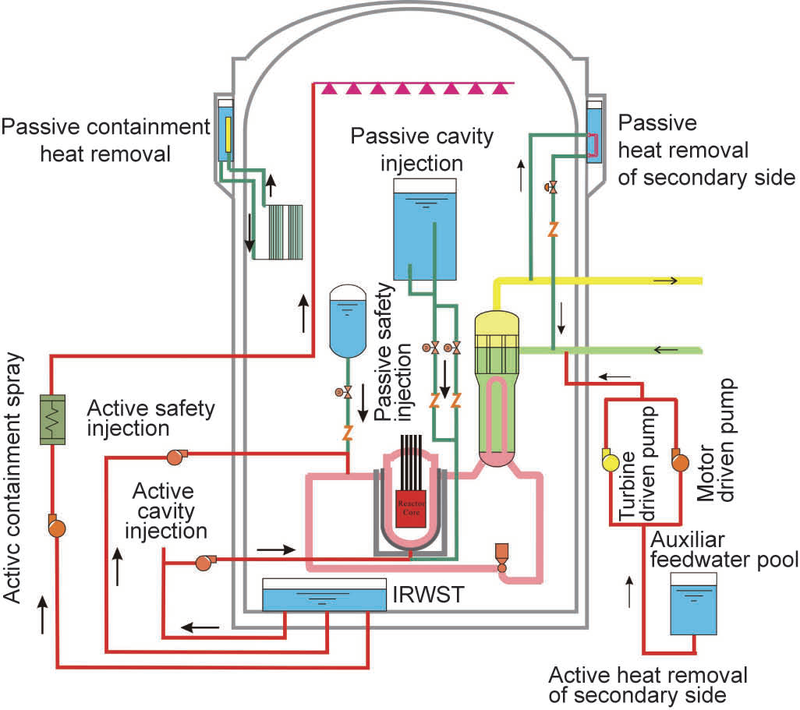 They have announced ambitious programs to build and operate many new nuclear power reactors to feed their growing economy with the electricity it needs. However, the 2011 Fukushima disaster had a serious impact on their ambitious building program. Innovation, creativity, problem-solving... these are the qualities that make a great entrepreneur today and I love what this local beer company is doing with all three! Saltwater Brewing is making six-pack rings that are not only biodegradable but edible, preventing loss of life when wildlife try to eat or get stuck in the rings. The company's model should not just be embraced but be made into a mandatory law for every seller of six packs! Last Saturday marked the annual Record Store Day, a day when so many Grateful Dead fans stock up on albums, support their local record stores and generally enjoy a day celebrating records and music in general. Did you get any of these exclusive releases over the weekend? It feels like we're going backward in history, doesn't it? When Texas lawmakers propose giving women and doctors the Death Penalty for having or performing abortions when most rapists never spend a day in jail, we are time traveling. There's just no other way to describe it. A teacher has created a mental health check-in board for their students and I couldn't love this idea more. It is SUCH a fantastic idea! I remember when I struggled with depression in high school. I worked full time (which allowed me to buy school supplies, eat free, buy my clothes, etc. which helped in my low-income household), did AP courses, took care of my siblings and home while my parents worked, managed several after-school activities, did two sports and never slept. People keep advocating the hunt of endangered animals, but I just can't wrap my head around it. I read this story about someone being allowed to murder an endangered goat in Pakistan for $110 K and I'm just disgusted. Humans are much weirder than other animals and seeing this sicko pose with the animal turns my stomach. Some say that it helps the other endangered animals with the money, but others say that it actually doesn't, so who knows? Whether you celebrate Easter or you're just enjoying the themes of spring, you might be putting bunnies all over the place. We have little bunnies we made on our windows right now, and speaking as a person who's raised rabbits, there is absolutely nothing cuter than baby bunnies growing up in your house! Okay, when they're first born they look pretty weird, but they sure grow fast. Playing with flavors is so popular today that everyone from Starbucks to Coke is doing it, and honestly I couldn't appreciate it more. I LOVE trying new flavors and am a sucker for, say, Peeps coffee creamer or shortbread coffee. So now that I know that Haagen-Dazs has a new booze-inspired Spirts line of ice cream, I'm going to have to try this stuff out. As an 80s kid who raised my own kid on The Goonies, Back to the Future and Care Bears, I have to say that the revival of 80s culture and trends doesn't bother me in the slightest. Yesterday I spotted an elderly woman wearing a bright jacket with patterns much like the one I wore in the late 80s/early 90s (to be fair, I'm a Millennial who was born in the early 80s, so I wasn't a teenager until the 90s) and I had to compliment her. It was pretty cool! Honestly when it comes to famous gardens around the world, the best I can do is name our local botanical garden and maybe the Hanging Gardens of Babylon. I'm not that knowledgeable about famous gardens around the world, but I know that most places have them. My own college campus had a famous rose garden, as do many places. Just what is it about roses, anyway? Sure, they're pretty, but they're not lilies. When it comes to Easter-themed drinks, I always have to go with a mimosa. It's a tried and true classic that's delicious no matter how you make it. They are SO easy to make, too. This list from Woman's Day has a bunch of simple ideas you can incorporate into your Easter brunch. Strawberry grapefruit? Rose raspberry? Yes, please. I don't know about you, but I crave Mexican on at least a monthly basis. I don't even need a margarita, although I know that's part of the experience for many fans of Mexican food! I'm a sucker for a good enchilada and a fabulous corn cake (it can't be dried out). One of the best places to get Mexican cuisine in Seattle is, of course, Fogon. Did you catch the big Family Guy marathon for Tax Day on April 15? The 20th anniversary special on TBS was an all-day thing that featured many of McFarlane's favorites, from "Extra Large Medium" to "Back to the Pilot." If you click the link, you can check out his thoughts on each of the episodes and why he chose each one or a little bit of background info about the episode selected. Every time a new frog species is dicovered, it seems like it's tinier than the last. No wonder it took us so long to find the frog in the first place! Many of these critters are as small as micromachine cars, if not smaller. The newest species found was discovered in Madagascar. Scientists found a total of five different species, but they're all teeny tiny.